I mentioned in my last post that I had ballooned up to 260 pounds after my surgery and even had to buy a new shirt for my uniform. That was a very bad time for me, and I thought it might be nice to show the contrast in those two "Dan Smiths." In the photo below, I was at a good friend's retirement ceremony. And I was embarrassed. 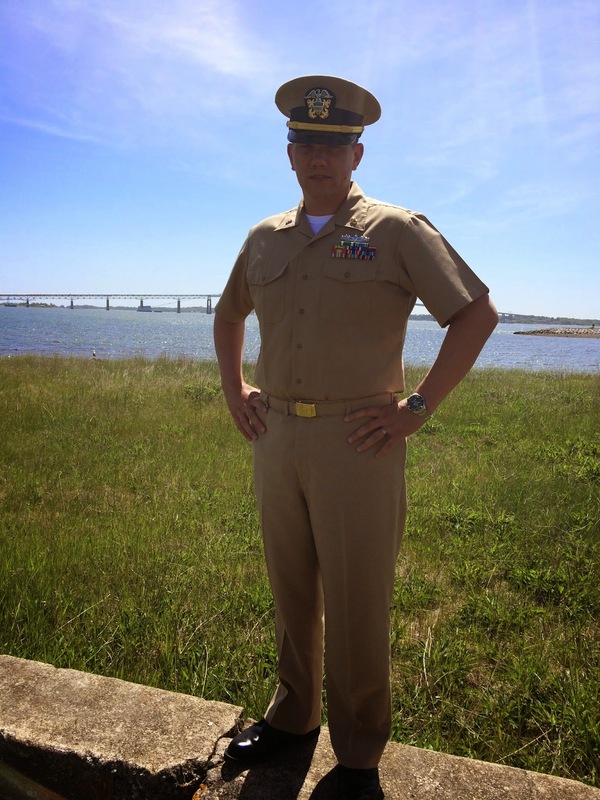 Here I was, celebrating the distinguished career of a fellow Chief Petty Officer, a Christian guy who had helped me so much during my own CPO induction, and I looked like that. Shame is a better word. This day was the first one I had to wear a new uniform shirt because my old one didn't fit anymore. I was just a mess. In the second picture, taken a few weeks ago in Newport, RI while attending LDO/CWO INDOC, I was 30 pounds lighter, healthier, and feeling confident in uniform. To be sure, there is still lots of room for improvement! So many of the Mustangs here in RI look better than I do in uniform, but I'm on the way. My next post, to be written at some future date, will detail more about my eating regimen and workout routine. Then I'll start writing periodically about my injury. Well, if you do not have any problems, on that photo you seem like another person. A friend of mine got some blood pressure problems after some months of diet.